In other words it looks like they’ve incorporated most, if not all, the features expected from these types of products. But they’ve done so at a $150 price point! 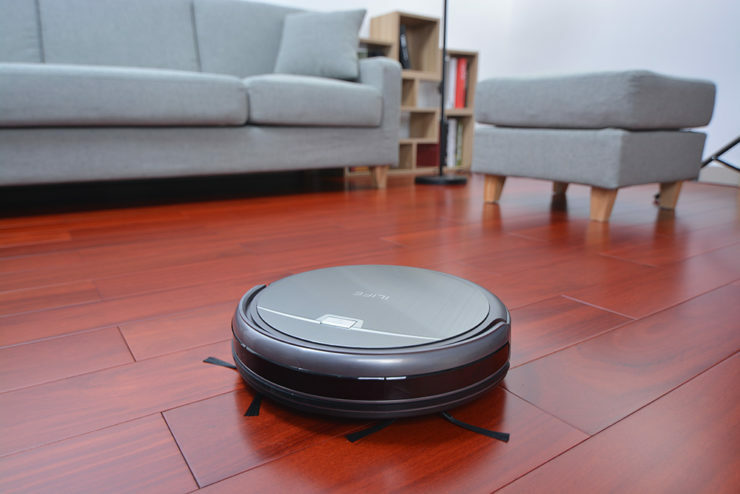 When you consider that a new Roomba is probably around $500, the ILIFE A4 Smart Robotic Vacuum Cleaner might end up being the average man’s alternative. By David Ponce on 12/07/15 • Leave a comment! Running a driving range? 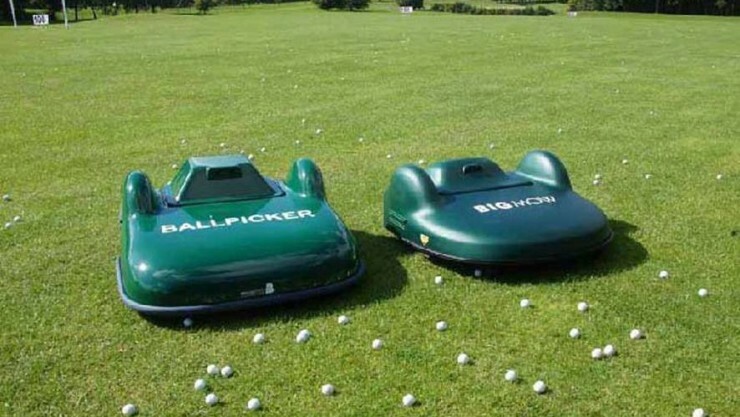 You have a lot of work to do, like picking up those hundreds of balls. Normally, ranges hire a kid to drive around picking them up in a fortified cart, while golfers do their best to hit the moving target. 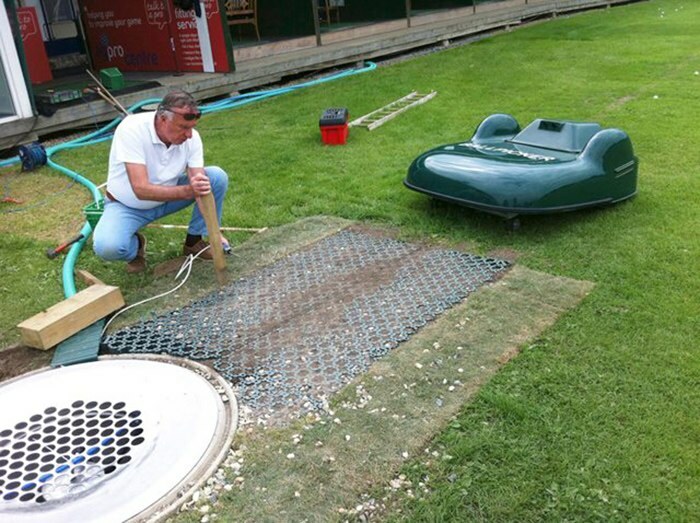 This tradition might come to an end if the Ball Picker Robot from TrueBots takes off. It autonomously goes around picking balls up, and can haul up to 10,000 in a day, 300 of them at a time. It is able to handle ranges up to 2 to 2.8 ha in area. The company doesn’t sell the bots, but rather opts to rent them out, along with another bot, BigMow, which also autonomously mows the lawn. Making tasty cocktails can take a little bit of skill, which is why many people just opt for a good ole beer or wine when drinking. 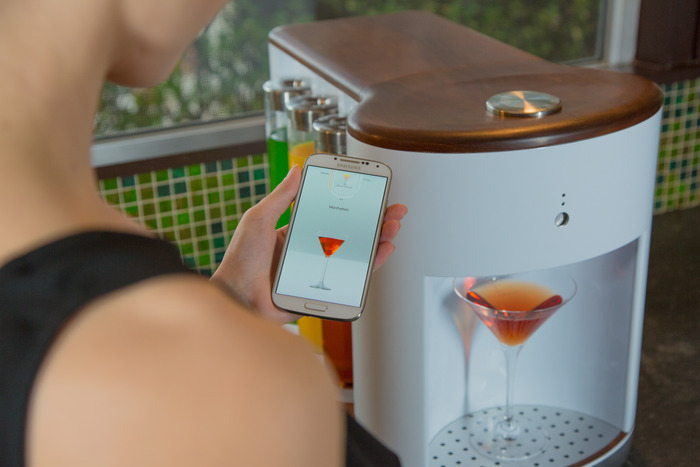 But Somabar hopes to take most of the effort out of the equation by giving you the ability to make hundreds of cocktails at the simple press of a button. 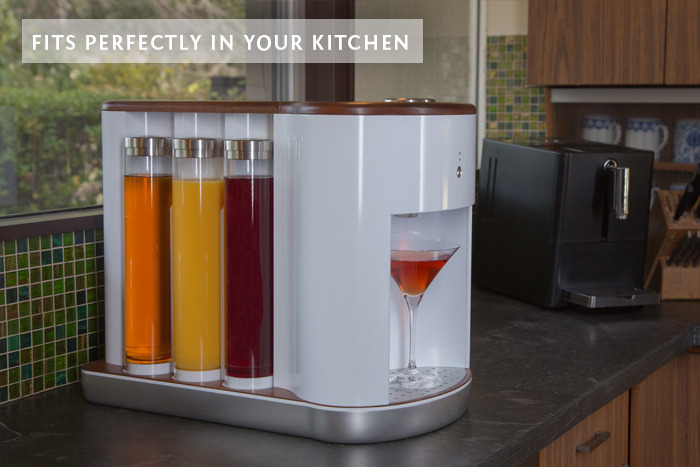 The WiFi-enabled appliance carries six special pods that you are meant to fill up with your own combination of liquors, spirits and chasers, as well as a smaller ‘bitters’ pod. Once you’ve told the related application just what’s in these pods, you’ll instantly have access to a list of available drinks. When you press that button on the app, your SOMABAR will take the ingredients from scratch, infuse bitters (if you are in the mood) and dynamically mix them in precise quantities using positive displacement pumps before pouring out your craft cocktail in less than 5 seconds. The mixing comes from a combination of fluid dynamics, kinetic energy, and turbulence created by static vanes. What that means is fewer moving parts to maintain, as well as fast and perfectly mixed cocktails. Our on-board software and sensors make it easy to make new recipes and manage your inventory (liquid gold). The pods are dishwasher safe, easily attach and detach from the device, and can be stored in the fridge so your booze is cold. 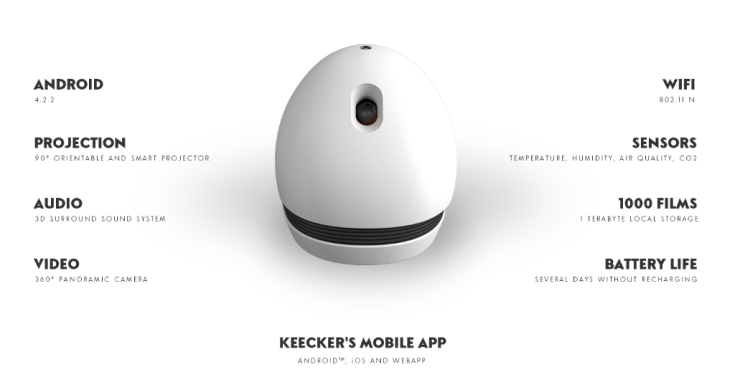 It’s a $399 pledge for now, with expected delivery in July 2015. By David Ponce on 12/02/14 • Leave a comment! 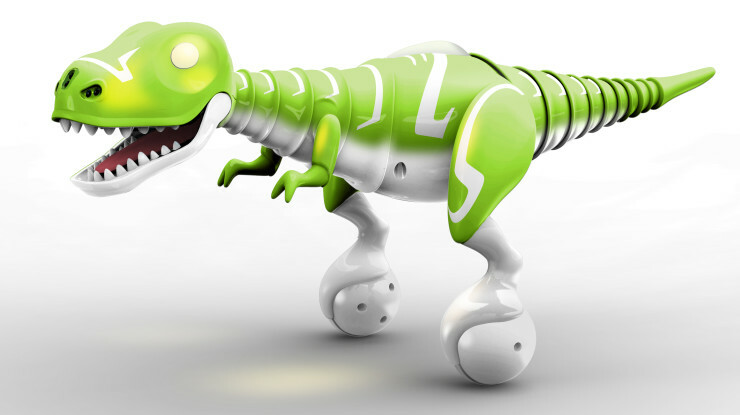 What’s 10″ tall, is controlled by your smartphone, and looks cute as a button? 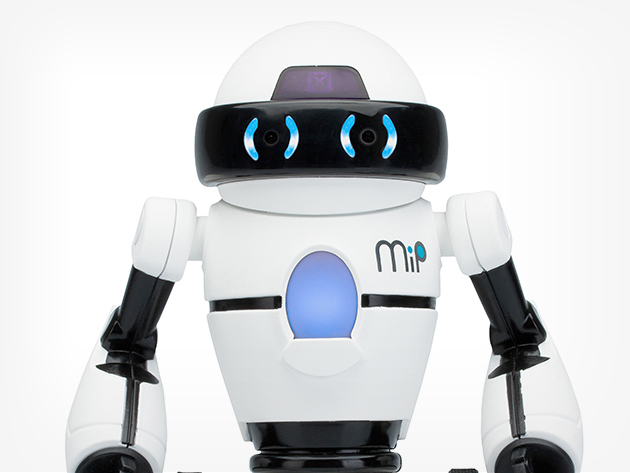 If you answered the Mip Robot… you probably just read the headline. 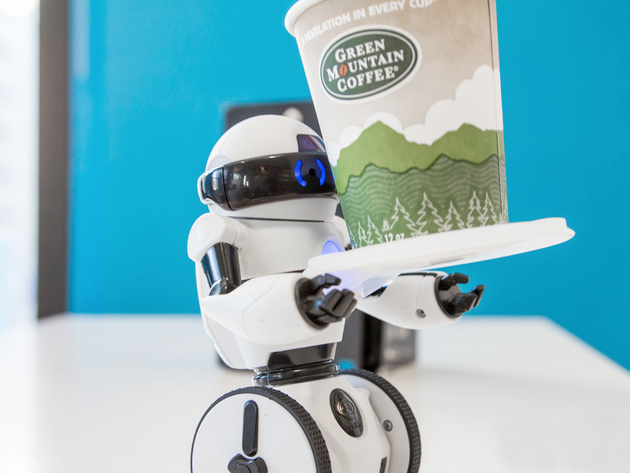 Yes, you’re looking at a self-balancing robot that you can control with your phone. But what, exactly, can you do with it? Not only can you control it using the intuitive (and free) MiP mobile app, but it also responds to motions and can detect objects blocking its path using innovative ‘Gesturesense’ technology. In addition to its immersive personality and ability to balance atop some unique duel wheels, MiP has 7 distinct modes: MiP, tracking, dance, roam, tricks, cage and stack. 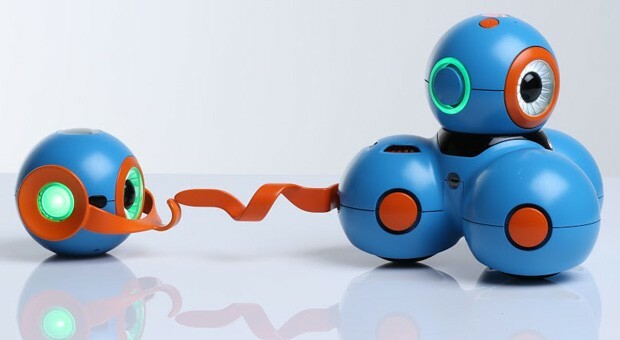 In other words, it’s a fancy toy that can probably get a young child interested in things like robotics, and for that alone is worth the $90 asking price. That’s down from the regular $100 price tag. With a future increasingly overlaid in all things digital, it makes sense to raise an ever enlarging number of kids to become programmers; we’re going to need them, after all. And while learning the specifics of a coding language is better done after a certain age, getting acquainted with the concepts underlying programming can be done somewhat sooner. Play-i’s Bo and Yana robots are being introduced for just this purpose. It gives children as young as 5 the opportunity to control them by selecting a series of visual presets that trigger particular behaviours. By doing so, they get acquainted with the “if/then nature of programming”, and rub elbows with concepts that will become central to their potential later careers. 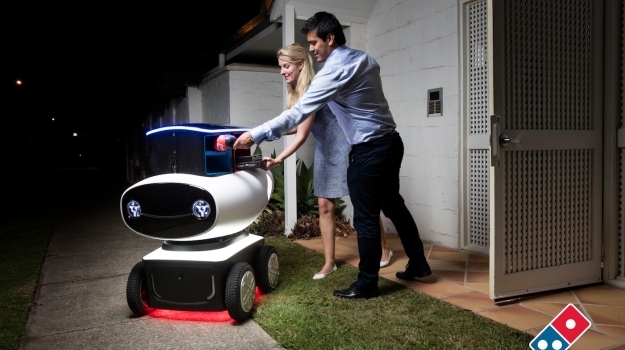 Bo is the three-wheeled bot on the right, while Yana is the stationary one on the left. Obviously, their abilities will be limited by their physical attributes so the robot that does more things costs a bit more. Right now a pledge of $149 for Bo and $49 for Yana will get you in the game, although full funding needs to be achieved first and that’s not done yet. Hit the links below to get your chance to move that along a bit. Drone Waiter Serves UK Diners–Is A Tip Still Required? Do the usual rules of tipping etiquette still apply when you’ve got a drone for a waiter? 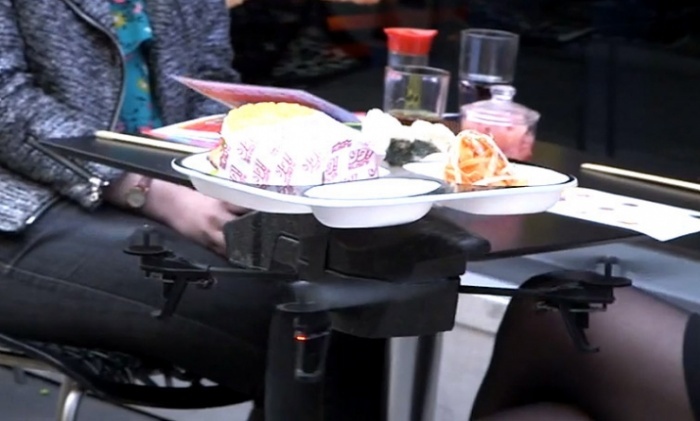 UK-based Yo Sushi has begun using iPad-controlled quadcopters to deliver meals to diners at the restaurant. The drone waiter, which is aptly called the iTray, is equipped with two high-definition cameras so that the cooking staff can see the reactions of the customers when their food arrives. 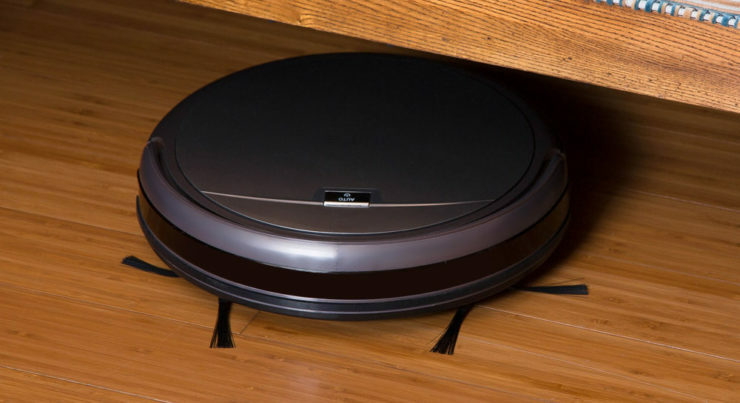 You can check out a video of the iTray in action after the break.